This species also known as GT, is common through out the country. In Filipino this species is called Talakitok and the Bisaya speaking people call these fish Mamsa. It is the largest of the Trevally species growing to a maximum weight of around 80kgs. Juveniles can be caught a variety of places from reefs, to estuaries, sandy bottom shorelines. The larger adults are more common around deeper reefs, atolls or sea walls. This species can also be caught in Lake Taal in Batangas which was once connected to the ocean via a river. Angler target these species in a variety of ways which include trolling, bottom fishing, jigging, popping and even bait fishing. 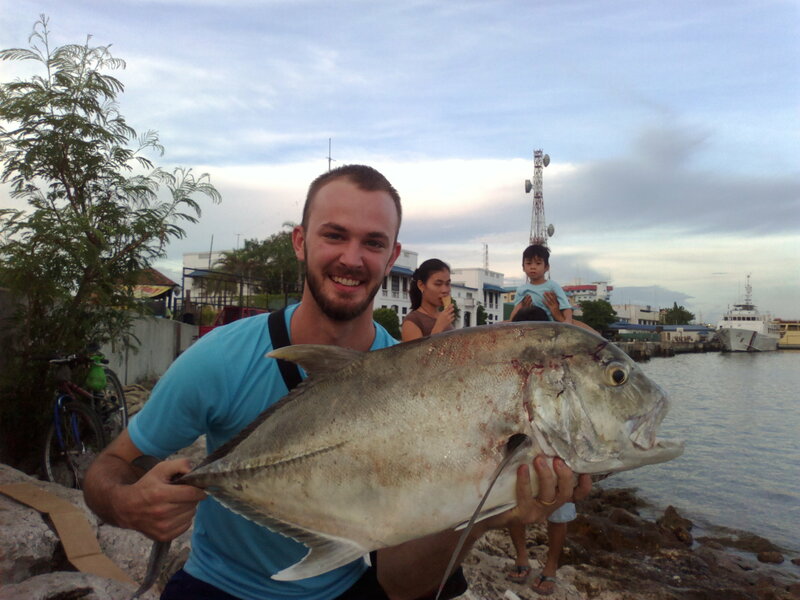 The fish in the picture below is a nice GT caught by Biboy in Palawan while Popping. The larger GT are quite powerful and can quite easily destroy fishing gear that is not up for the challenge. For anglers targeting this species be sure you are using the right gear for the job. In recent years the Bankgo Sentral Ng Pilipinas (Central Bank of the Philippines) has featured the Giant Trevally of Lake Taal on their 50 Peso Bill. This is part of the move to highlight unique flora, fauna, and geographic features of the Philippines in efforts to conserve and increase public awareness. Hopefully the unique freshwater GT of Taal will remain a permanent feature of the lake’s ecosystem. Posted on October 16, 2012, in Trevally (Talakitok). Bookmark the permalink. 8 Comments. nice fish. wish i was the one who caught it. Ohh..big fish..wow..wish i was the one who pulled the rod…. 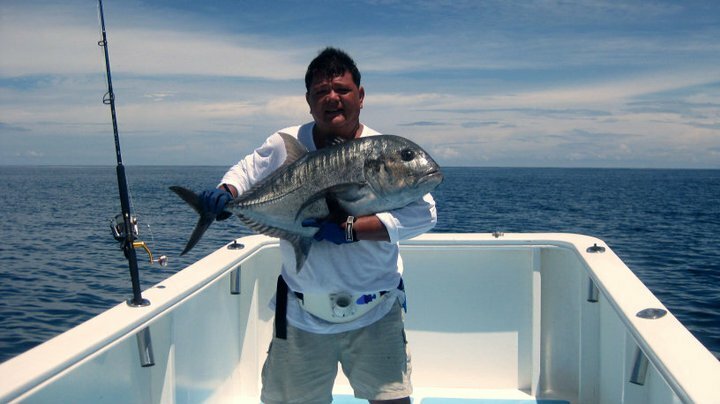 Yes, these fish can be caught all over the Philippines. Im a Filipino shore angler here in Singapore. Plano ko din po sana mag fishing pag uwi sa Philippines this summer saan po kaya magandang mag finishing sa bulacan and north side like Pangasinan area? Abdiel, we do not have much experience fishing up there in Bulacan/Pangasinan. We recommend you join the Filipino Anglers Forum where you will likely be able to find info about that area. Good luck and tight lines!